Thank you for submitting your item for appraisal. This appears to be a modern nepalese depiction of a white Tara in the center. 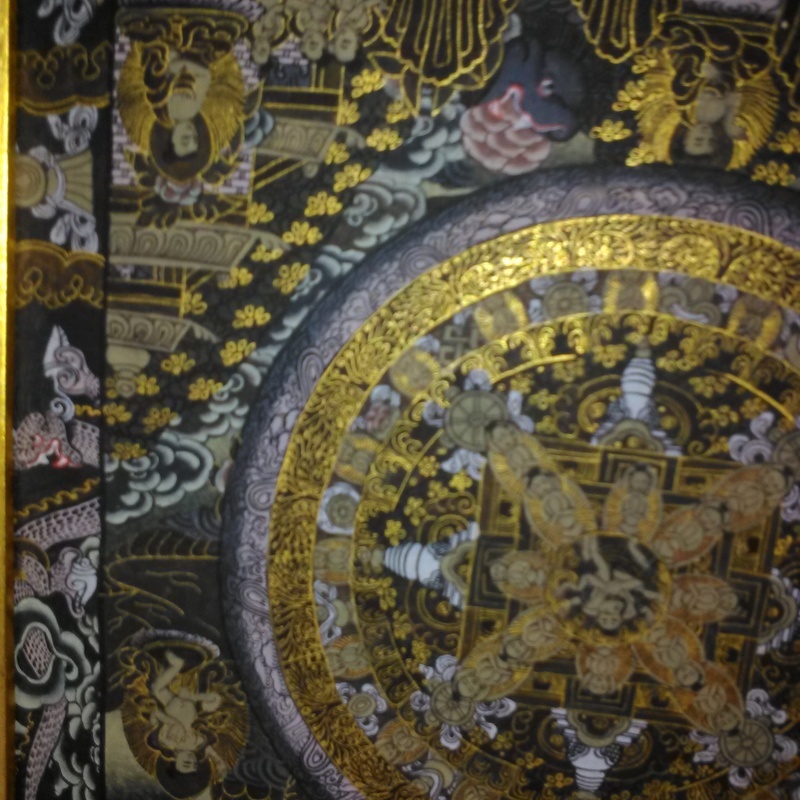 Her figure and other accents within the picture is decorated with gold and surrounded by Bodhisattvas and stupas. This appears to be one of the more detailed pieces made for export. There appears to be a stain upper left. The estimate is based on similar items sold or offered at auction.